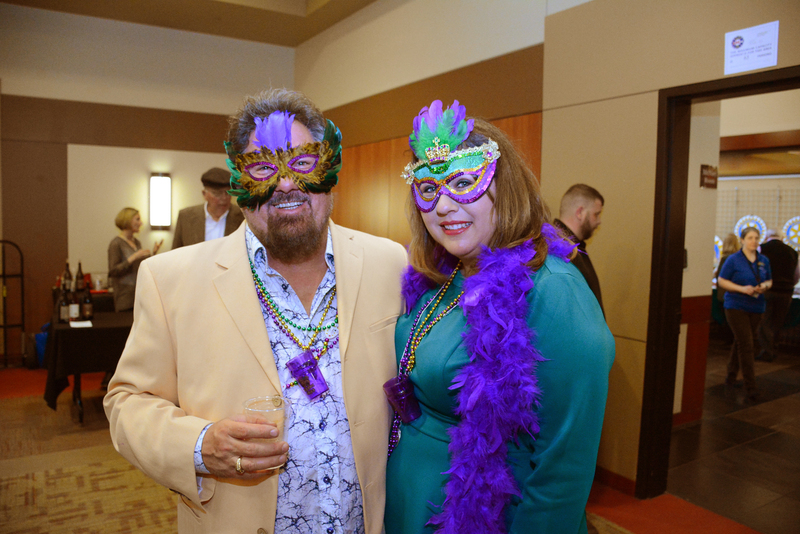 Rotary raffle party gets down, Mardi Gras style | Keizertimes | You think you know. To be sure, read Keizertimes. Rotary Club of Keizer's annual raffle ended up raising more than $70,000 for future projects. One lucky winner is taking home $10,000 in gold and silver. 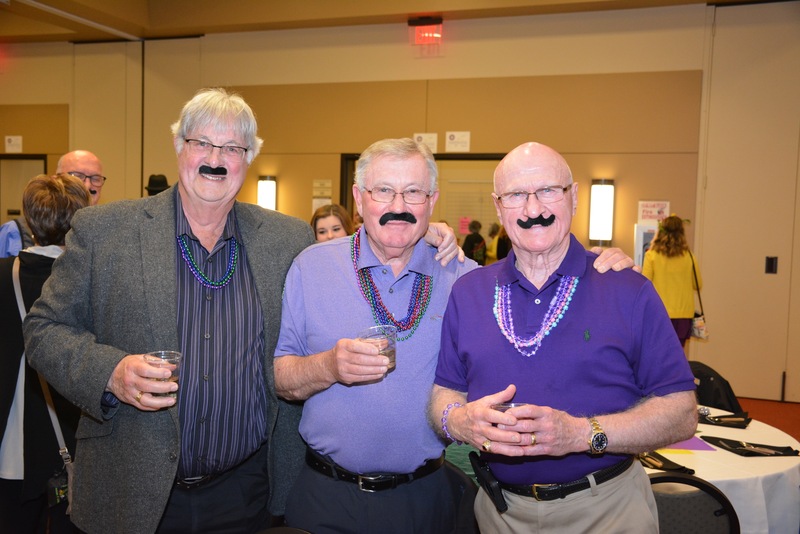 The Rotary Club of Keizer held its annual Go for the Gold Raffle dinner and auction at the Keizer Civic Center on Saturday, April 6. 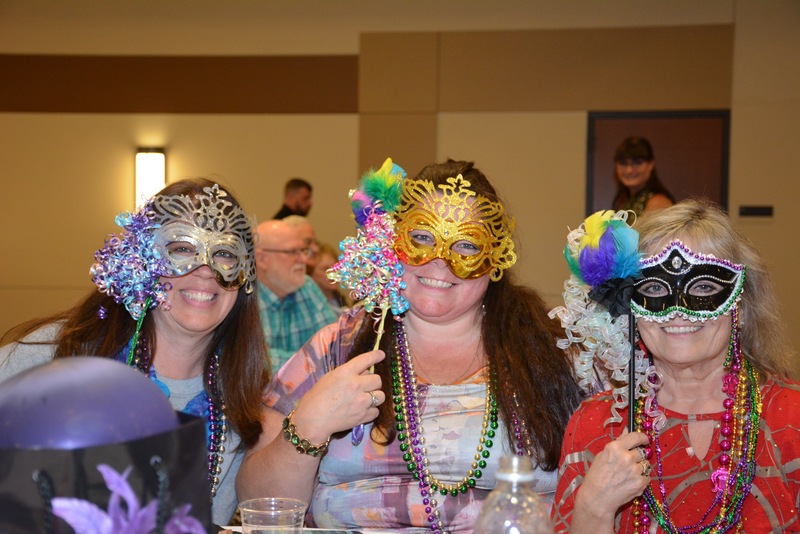 The theme was Mardi Gras and everyone got into the spirit including (from left) Melissa Davis, Melanie Stiger and Raeanne McDonald.Mike Stiers of Keizer was the big winner at Rotary Club of Keizer’s Go for the Gold raffle dinner and auction held Saturday, April 6, at the Keizer Civic Center. Each $50 ticket was entered for the chance to win two prizes: first prize was $10,000 worth of gold and silver; second place was $1,200 in cash. Skiers won the gold and silver. Rhonda Brattain, also of Keizer, won the $1,200 in cash. He said he was keeping the precious metals rather than cashing them in, as many previous winners had opted to do. Stiers said he is hoping the price of gold and silver rise, netting more than the original $10,000 value. The winning grand prize ticket was one of two sold to Stiers and his wife by Rotarian Hank Tarter. The second prize winning ticket was sold to Brattain by club member Danielle Bethell. 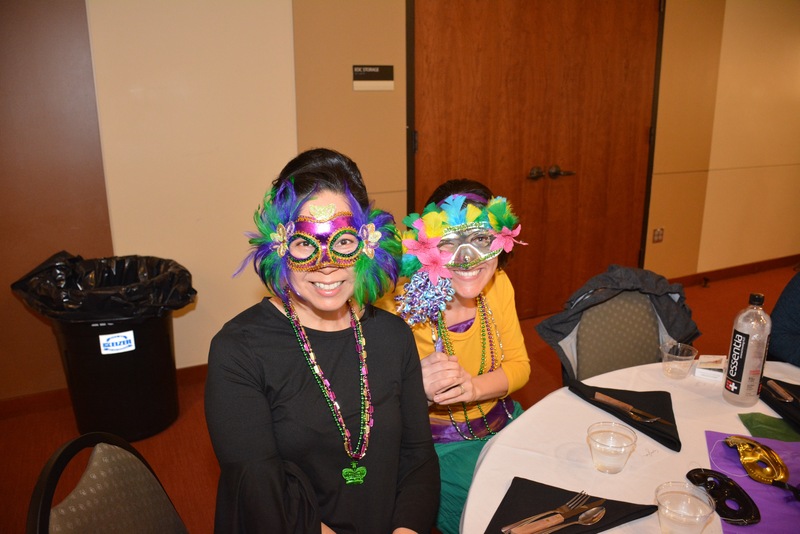 Many attendees wore masks and beads in honor of the event’s Mardi Gras theme. Nearly $70,000 was raised from raffle tickets and a silent auction. The net proceeds will be used to award grants and to fund Rotary Club projects in the community as well as Rotary International projects throughout the world. (Front from left) Bob Parsons, Marlene Parsons, Maria Kelly, Troy Young. (Rear from left) Kevin Clark, Cathy Clark, Heather Howard and Gail Young. Eva Chase (left) and Carrie Comporg. Three amigos (from left) Don Byard, Harold Tennant and Kent Ward. Rick Day and Tammy Black in their best Mardi Gras costumes.